A classic immigrant success story. That’s how you could describe Peter Lees. 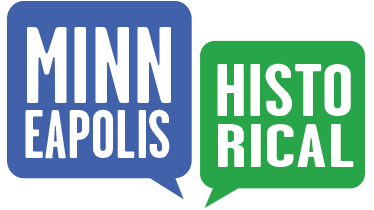 He left Scotland in 1880 and settled shortly thereafter in St. Anthony where he was hired as an ironworking mechanic. Twenty years later he was the general manager of the American Bridge Company and the proud owner of this large, elegant house. The American Bridge Company, which later became part of U.S. Steel, occupied the factory buildings on Second Street SE, now home to Metal-Matic. 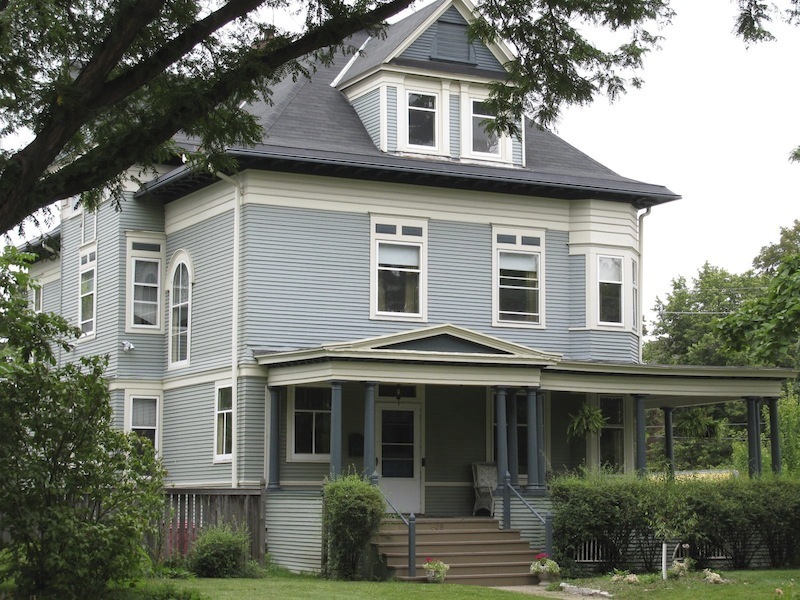 The house is a wonderful example of Queen Anne-style architecture. Costing just $6,000 to build, it features a third-floor ballroom and classical elements such as freestanding Ionic columns. 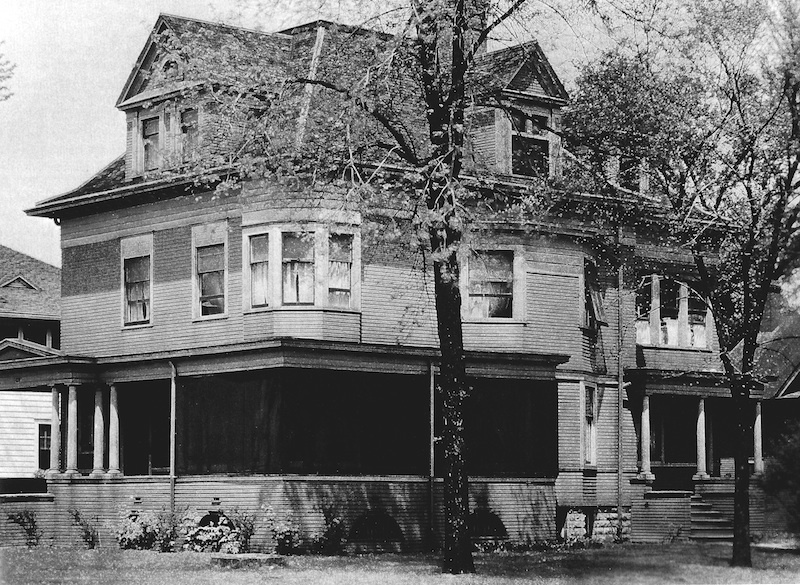 Peter Lees and his family lived here until 1915, when they sold their home to a University of Minnesota professor. 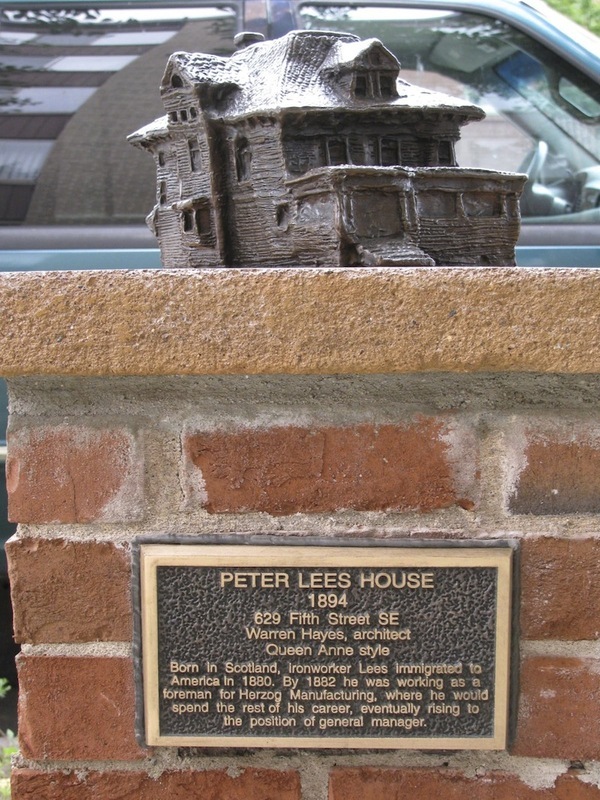 Marcy-Holmes Neighborhood Association, “Peter Lees House (1894),” Minneapolis Historical, accessed April 20, 2019, http://minneapolishistorical.org/items/show/83.